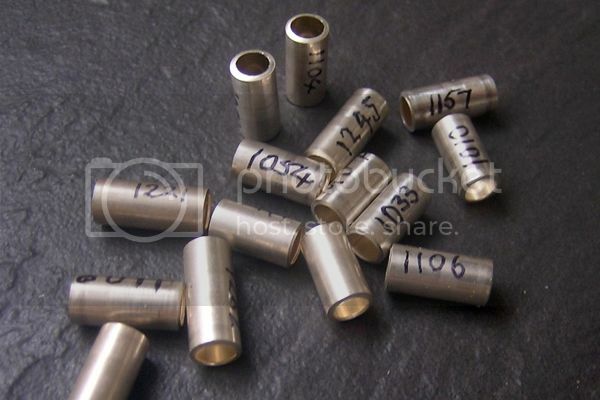 I contacted the supplier, and they produced a custom set for me with an internal diameter of 3.9mm. These arrived within a fortnight from USA – so their service for European customers is excellent! It has been beautifully made and, as it is so small it is easily portable. Beads are lined horizontally, which is an easy way to ensure that the bead is perfectly centred on the core. As all of the parts are metal, they should not wear out if used correctly. The dies just slot in so they are quick to change size, and you only need one set per bead. I used a 5mm mandrel for my beads lightly dipped in Fusion bead release. I made a load of simple clear glass beads to practice with. It is important to use beads with good dimples otherwise the beads can crack as the silver needs somewhere to move to when it is flared and beads can also break if they are not a consistent width as this can cause uneven pressure being applied. I have ground down bead holes using my Dremel and a spherical abrasive bit and that works very well providing I get the rivet to flare out to cover the ground area. 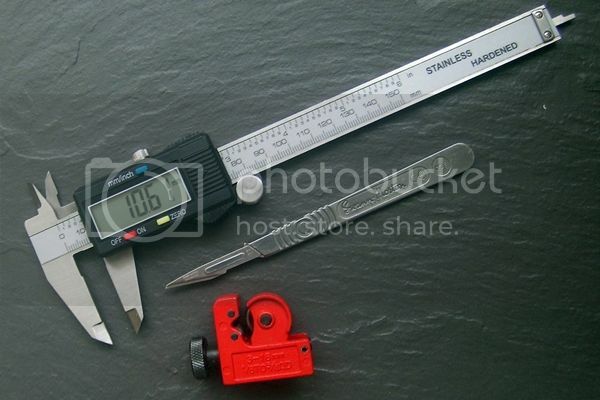 Measure the bead using digital callipers. Jerry from Retro Glass suggested adding 3mm to the length of the tubing for a 2cm long bead. I experimented with different lengths and found that 3.2mm to 3.9 worked well for my small to medium length beads. I would advise anyone else to experiment too. or use drill bits, and then debur the outside with sandpaper. 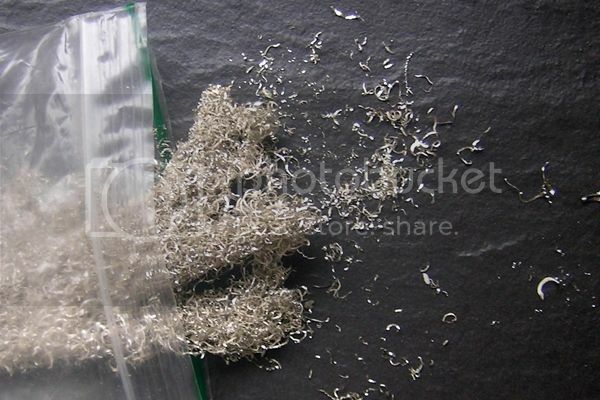 Anneal your tubing – I use a plumber’s blowtorch, and you want to get the silver to glow a dull cherry red colour. If it goes orange you have over-annealed and there is a real risk that you have structurally damaged the silver. Clean the tubing. Put the silver tube and bead in the machine. It is adjustable along the bottom and you want to get the clamp ends as close to the bead as you can. Tighten the bottom screw to fix the clamp in place. Then gently turn the big wheel to start flaring out the tube. 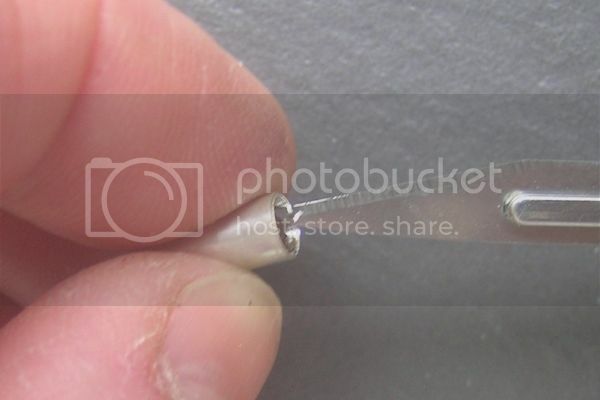 I kept taking my bead out, flipping it over and putting it back in to ensure that both ends were flared equally. But, as both dies are the same you should not need to do this…I do though just in case there are microscopic differences. Ensure that the bead can still move on the tube at this point – you do not want to put any pressure on the glass in case it breaks. Once you get to this stage go even slower – keep checking that the bead is centred. Ideally, by the end, the rivet shouldn’t move inside the bead, but not tight enough to chip the glass. The brass is the hardest to line with, even annealed it is stiff, and so I really wouldn’t recommend using it – but the copper was fine when used on a small bead. I hope that you have enjoyed reading my review – feedback is welcome! This is a really excellent post, Charlotte - congratulations! Along with your reviews on the other bead corers it should be a huge help to anyone starting out on solid cores. I'll only comment on this one as this is the model I have - though there's not much I can add, maybe just a couple of useful tips based on my own experience. I love this little gadget - very neat and simple, beautifully engineered. I've had mine for several years and it's cored literally thousands of beads, mostly European charm beads made on 5mm mandrels. I've used the same set of dies from the beginning and haven't had to replace, alter or fix any part of it. Well-dimpled, symmetrical beads core most reliably. I occasionally use a diamond burr (cheap Chinese from eBay) on a Dremel for grinding uneven edges. The worst culprits are my partner's armadillo beads, which tend to spread on the mandrel and lose the dimple - plus she often uses silver foil which leaves jaggy bumps around the edges... 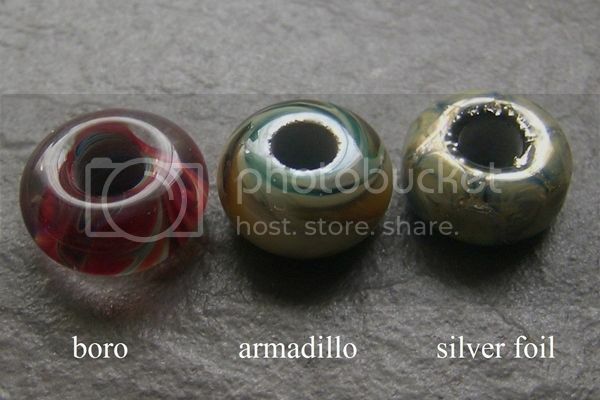 The easiest to core are my own boro beads with deep dimples and smooth, even edges. I'm not a better beadmaker - just different methods and materials! I would emphasise that it's essential to measure, cut and prepare the tubing carefully, so worth investing in a good vernier caliper and a few other bits. This one is not an expensive caliper, but it's accurate and, as it's hardened steel, I can use the sharp edge of the jaw to score the silver tube as I measure it to mark where to cut. Charlotte's measurements are spot-on. Most of my beads are between 6 and 8mm wide to which I add 3.25 to 3.5mm. I use a basic plumber's pipe cutter. Because I don't always get it exactly right first time, I generally cut a few. I mark the extras with a fine black pen so always have a stock of ready cut lengths for future use. I trim inside the ends of the tube with a surgical scalpel (Swann-Morton size 11 blade for preference). I've learned to turn the tube between finger and thumb of my left hand while shaving a thin strip off the silver with the scalpel held firm in my right hand - a long, smooth, circular movement, testing and repeating until the bead-corer die feels like a sliding fit, not tight, when twiddled in the end of the tube. If you core enough beads, it's worth collecting the trimmings - you can end up with quite a decent value in scrap silver! Using the corer is exactly as Charlotte describes in Step 2, though I find that if I've taken the trouble to measure and trim carefully enough I don't need to flip the bead around - it will flare evenly in one go. For the last little bit I loosen and tighten the wheel repeatedly, all the time feeling how the bead moves on the core, gradually going in as tight as I dare so it's as snug a fit as possible. But it takes a bit of practice to get it perfect - be cautious, and be prepared to kill a few beads in the learning process! The action of the die against the silver leaves the core ends smooth and bright. I finish with a little Renaissance Wax to polish and protect against tarnish. Thank you so much for adding to the post! I find it amazing how different beads have different puckers and these have quite an impact on the tube length required. Excellent idea to mark the superfluous tubes with the length as somehow I always manage to cut the wrong length for one bead in particular. Yesterday it took 6 attempts to get the correct length. As silver is so expensive now it is prudent to keep the mistakes as you will find a future bead that will need the tube. Digital callipers are invaluable and it is lovely to see that we use the same model! I really love this tool, and find it very interesting that you haven't needed any new dies after lining countless beads - you have looked after your liner!